God, give us Christian homes!God, give us Christian homes! 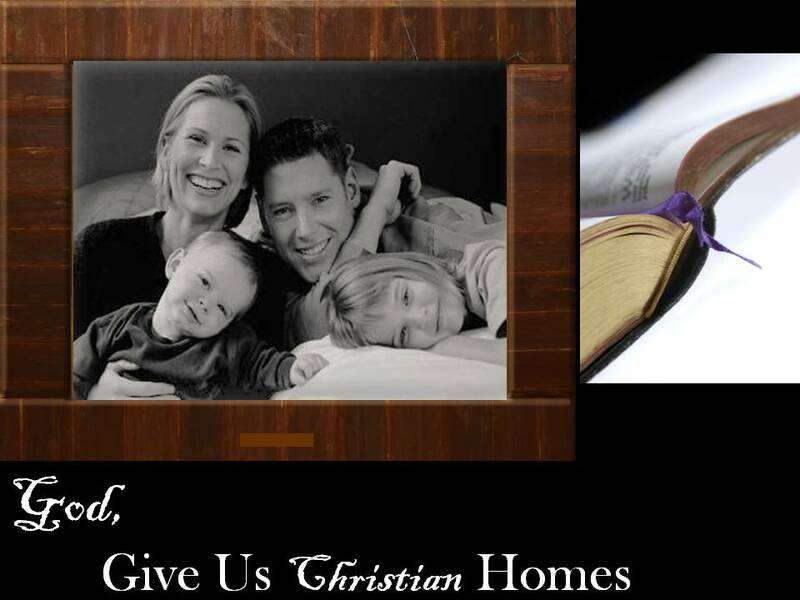 God, give us Christian homes!It’sFamily month in my church and this has been the Hymn for the month so far.The more I sing this hymn, the more I realize that this is what all my strivings for my family is about. Maybe you are like me too! So I decided to share my interpretation with us. I pray this is a blessing to someone and please share your views too as comments! A home where the Bible is loved and taught! I remember going shopping for a Bible with my 5+ plus son. We wanted something in print big enough for him to read and simple enough to read too. We found one! We have since read it, fought about its care and so much! Lagos is hectic so every Saturday we try to read it together and I encourage him to do so too on his own. Baby brother is jealous now and wants to read the Bible like his big brother; I hope I am doing something right. My prayer is that these boys one day will be well taught and read in the Word, living the Word in their Generation and same for everyone who passes through my home. How are we making the Bible Loved in our home? Do we have long lasting structures to enshrine God’s Word in our homes? We need to evaluate this. A Home where the Master’s will is sought! How often do we question the actions in our homes, especially our own actions in line with the Word of God? What standards do we employ in making decisions? How do we correct the wrong we see in our home, in our spouses, children, helps? Are we seeking His will? Can my child or yours see that God’s will is your priority? What kind of home will have beauty wrought by God’s Love? Would it be a home that never had a bad season or a Home that has risen beyond all the pains, hurts, and deaths to become a beauty only the love of God could work out? Home where daddy has risen above the knowledge of this world and has become a true father haven learnt from the best Father (Jehovah God) about how to be a true Father. A father who relies not on his own strength but lives through the faith in Jehovah God and the work of the cross. A Father who has moved on to be seated in heavenly places with Christ Jesus! Could it be a home that has escaped the corruption in this world because every fabric of the home is tied to the WORD of God? Or could it be a Home where No decision is made without seeking God’s will? A home built purposely on the WORD of God! Home where the Spirit is in abundance and wells of joy are released from time to time! Dad bursts into singing, children love to sing! Hymns are a source of entertainment! Praise and Worship is not a Sunday –Sunday Event! This is what every Christian couple should be about! This is the song both husband and wife should sing, asking God for strength to be that person who will allow God work out the answer to this prayer in his or her marriage. Next time we will continue with the next two verses! May His peace reign in every troubled home in Jesus name. God give us a Christian home, where your love is the rule. Thanks Mummy Lola.